Haunted houses, unusual monsters and goons, traps hidden in the candy bowl, toilet papered bushes, and the ringing of doorbells. Trick or treat!! October 31st is creeping up, the new autumn month has made its arrival with gusts of wind, changing leaves’ colors, and instigating the “no shave” November ritual for men. The smell of pumpkin pie and cool air reminds you of home and you wish you were back with family and friends. Most of your campuses provide some activity or event for Halloween. Whether that be going around dorm buildings and knocking on people’s doors asking for candy or throwing a party to celebrate the scary holiday, it’s a fun time for all, even those of you who aren’t fans of the creepiness. If you’re planning to dress up in costume, go for it! It’s a ton of fun to dress up with a big group of friends and have a goofy, fun time out and about. Michelle Phan, famous YouTube guru makeup artist, has clever tutorials to help you get ready and look like the real thing. We encourage you to come up with clever costume ideas. Instead of the normal witch on a broomstick or Superwoman costume, try out Mario and Luigi or a group of M&Ms (my friends and I did that for our costume day in high school). Incorporating more people into a costume theme is more fun than being your own character. My roommate and some of her cross country team are dressing up in the Candyland game board theme. Cool, huh?? But, maybe you’re not into the whole scene of dressing up as a hooligan. You’d rather stay in with friends and watch scary movies all night with popcorn to calm your nerves. Or even watch the classic Halloween marathons on ABCFamily. Those never get old, especially around this time of year. If you really don’t like the holiday, I don’t blame you. I’m not a terribly great fan, but it’s all fun and games. My normal Halloween night consists of dinner with family and perhaps a trip to the mall. It’s cute to see all the kids running from store to store in their little costumes, asking for candy from store employees. If you’d like to skip the Halloween scene, treat yourself to a nice dinner with friends or a loved one. And then, there are the fanatics who go all out for Halloween every year no matter what, and they enjoy the haunted houses promoted on the radio or TV commercials. I’ve heard those places can get sketchy, so always take precaution and stick with your friends at all times. Don’t go into a dark area with some stranger. Not a good idea. 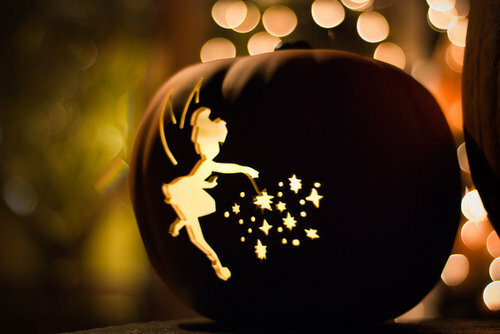 So wherever the spooky night takes you, have your fun with tricks or treats.